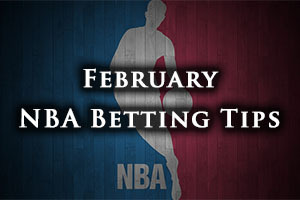 There is a big card of NBA games on offer tonight, there won’t be tomorrow, so make the most of your betting opportunities when they come along. There were four games taking place last night in the NBA and we’ll run through them now. The Wizards lost again, slipping to the Warriors in Washington by a score of 107-114. The Thunder had a healthy home win against the Pacers, defeating the Indiana side by a score of 105-92. The Pistons fell at home to the Cavaliers, the Cleveland side winning 93-102 in Detroit and the Mavericks held firm in Dallas, defeating the Toronto Raptors by a score of 99-92. Goran Dragic may not have had the best of debuts for the Miami Heat but in their match against the 76ers on Monday, he showed what he is capable of. He managed to deliver a double-double for his team with 23 points and 10 assists, indicating that he can be a big player for the Heat this campaign. With Luol Deng also grabbing 29 points, the Heat picked up the most points they had picked up this season with this display. The Monday night win moved the Heat on to a 24-31 record and this includes a 14-15 record on the road. That win came on the back of the loss and the Heat are sitting with a 4-6 record in their last 10 outings. Another team with a 4-6 record in their last 10 games is the Orlando Magic, but the Magic have won their last three games. Heading into this one, the Magic hold a 19-39 record and this includes a 9-18 record at home. When it comes to average points scored, Orlando have the edge, sitting with a 95.8 record compared to a 93.5 record. For average points allowed, the Heat have the edge, sitting with a 96.8 record compared to a 101.3 record. Chris Bosh is likely to be absent for the Heat while Tobias Harris is a major doubt for the Magic. With this being the Magic’s first game since the 103-98 win over the 76ers on Sunday, the same team that lost to the Heat on Monday, the home side will be keen to get out of the blocks in this one. However, taking the Heat with a -3 handicap, at odds of 1.90, looks attractive and you should consider this for your Wednesday basketball betting action. Bet Now! This is a game between two fairly matched teams over the course of the season and it may well be that home advantage is the most notable thing to split these two sides. The Clippers hold a 37-20 record coming into this game and this includes a road record of 14-20. The Rockets welcome the Clippers with a 38-18 record and this contains a 20-8 record at home. The Clippers are coming into this game on the back of a loss but the Rockets have managed to win their last two outings. With respect to the 10 game record, the Clippers hold a 5-5 record and the Rockets have a 6-4 record. For average points scored, the Clippers have the advantage, holding a 106.9 record compared to a 103.2 record. As for average points allowed, the Rockets have the edge with their 99.6 record compared to the 100.7 record held by the Clippers. Blake Griffin is likely to be absent for the Clippers while Austin Rivers is being monitored on a daily basis. For the Rockets, a number of players are being looked at on a daily basis, including Terrence Jones, Joey Dorsey, Patrick Beverley and Kostas Papanikolau. The Clippers lost in their last game, slipping to the Grizzlies on Monday, losing by a score of 90-87. On the same evening, the Rockets enjoyed a home win over the Timberwolves, triumphing by a score of 113-102. Taking the Rockets with a -3.5 handicap, and odds of 1.90, will likely give you a push in the right direction with respect to making the most of your basketball betting fun on Wednesday. Bet Now! On the way to the NBA title last year, the Spurs were extremely comfortable on the road, but this hasn’t been the case this season. 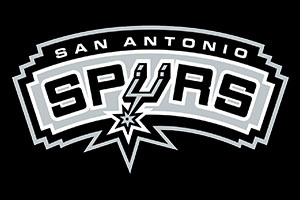 The reigning champions are yet to win since the All-Star break and they are toiling badly away from San Antonio at the moment. They are sure to face a tough test from Portland but it may be that a difficult challenge is better for them in the fact that it may force them to raise their game. The Spurs have a 34-22 record this season and this includes a 14-15 record on the road. Having lost their three most recent games, the Spurs have a 5-5 record in their last 10 outings. Mind you, it is not as though the Trail Blazers are having much better form at the moment. They have lost in their two most recent games and they currently hold a 4-6 record in their 10 most recent games. The Trail Blazers hold a 36-19 record so far this season and this includes a 23-6 record at home. With respect to average points scored, the Trail Blazers hold an advantage with a 101.9 record compared to the 100.5 record of the Spurs. With respect to average points allowed, it couldn’t be closer with the Portland side narrowly squeezing past with a 97.2 record compared to a 97.3 record. LaMarcus Aldridge has a slight knock for the home side but he should be okay and aside from him, both teams look to have a clean bill of health coming into this game. The Spurs lost to the Jazz on Monday night, going down 90-81 in Utah and on Sunday, Portland lost at home to Memphis in a 98-92 game. If you think that the Spurs are going to kick-start the second half of their campaign tonight, and they have to, taking them at odds of 1.90 for a +3 handicap is a safe bet. Bet Now!